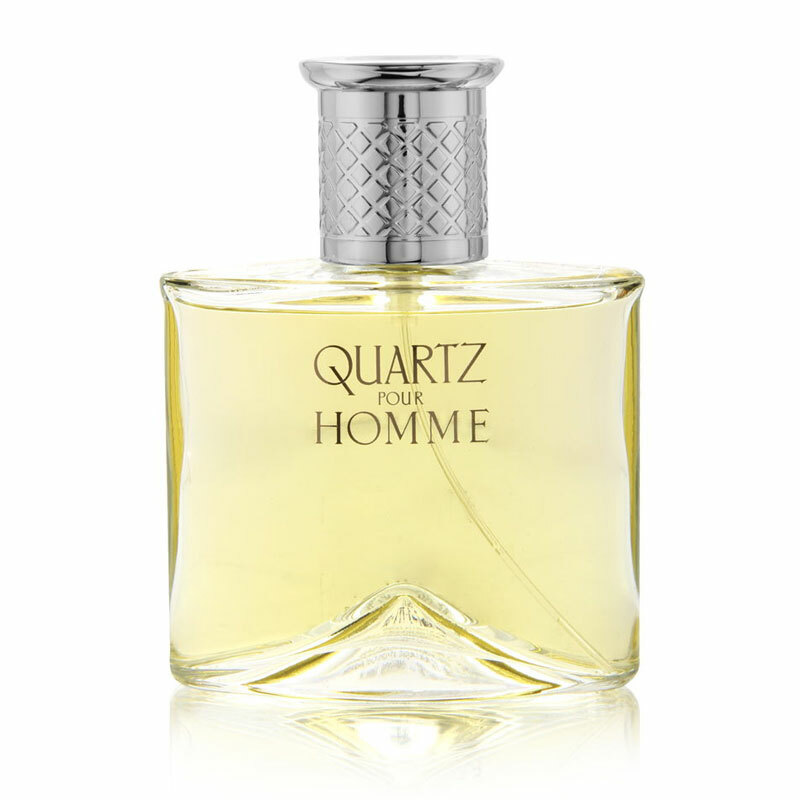 There are 10 reviews of Quartz pour Homme. A nice fresh woody scent, although I enjoy Silver Quartz more than this one. There is an apple note (olfactory illusion?) up top, but it's not the hissy crab apple note of Cool Water. Here, everything is more understated. Like Silver Quartz, this would make a great office scent. Quartz pour Homme opens with a pretty straightforward sour grapefruit. As the fragrance enters the heart phase some of the grapefruit remains, but a relatively sanitized jasmine starts to develop. As the linear progression of the fragrance continues through the dry-down the jasmine grows into the dominant note and stays that way through the late dry-down as the now supporting grapefruit continues to fade, supplemented by an underlying subtle cedar wood and amber tandem late. Projection is above average and longevity is outstanding at over 12 hours on skin. What a disappointment. 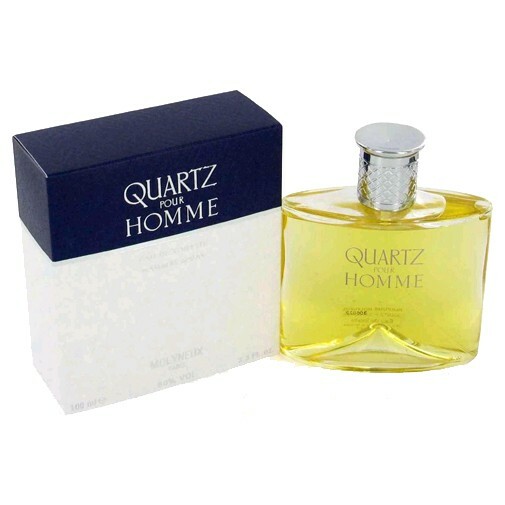 Quartz pour Homme was a blind buy that I based on my positive experience with the outstanding vintage Captain from the house and the commonly listed published notes to the composition that contained things like moss and vetiver among others. Let's just cut to the chase, this is a review of a current bottle (sold in a box with a navy top horizontal stripe) and I have to wonder if there was a reformulation along the way because this is a grapefruit and jasmine fragrance all the way with just hints of wood and amber. I detect no moss, no vetiver, no leather, not much spice, etc... Quartz pour Homme strikes me as an inferior jasmine spiked version of Bulgari pour Homme Extreme (and that release was far from any masterpiece to begin with). On the plus side, the performance metrics are quite strong, but that is not necessarily a good thing if you dislike the fragrance itself. The bottom line is Quartz pour Homme is relatively inexpensive at about $25 a 100ml bottle and it may have been a much better fragrance in a prior formulation containing the ingredients I expected to find, but I can only comment on the current formula bought and that earns a disappointing 2 star out of 5 "poor" rating. One to avoid for sure in its current formulation. Cons: The published list of notes seem to be largely MIA and the fragrance smells mundane and uninteresting. Too much "fresh" aroma chemicals for me. Let me say right up front that I can handle and even appreciate the "fresh" aroma chemicals in this one, but there is too much of them and not enough of the notes I was hoping to smell. I'm especially disappointed by the base, which is hardly present or being dominated by the "freshness." I'm thinking a reformulation was done and that I have the new one, because this doesn't seem like much of an effort. Moreover, there are so many other "fresh" ones I'd rather wear (even Baryshnikov Sport) that I don't see myself doing anything other than trying to swap off my 100 ml bottle of this one, especially consider I don't wear these kinds of fresh scent often in the first place! Pros: Good for office/school type settings, especially in warm weather. Cons: Too unbalanced for me." Based on the reviews here, I got it from Ebay, and was I nice surprise. 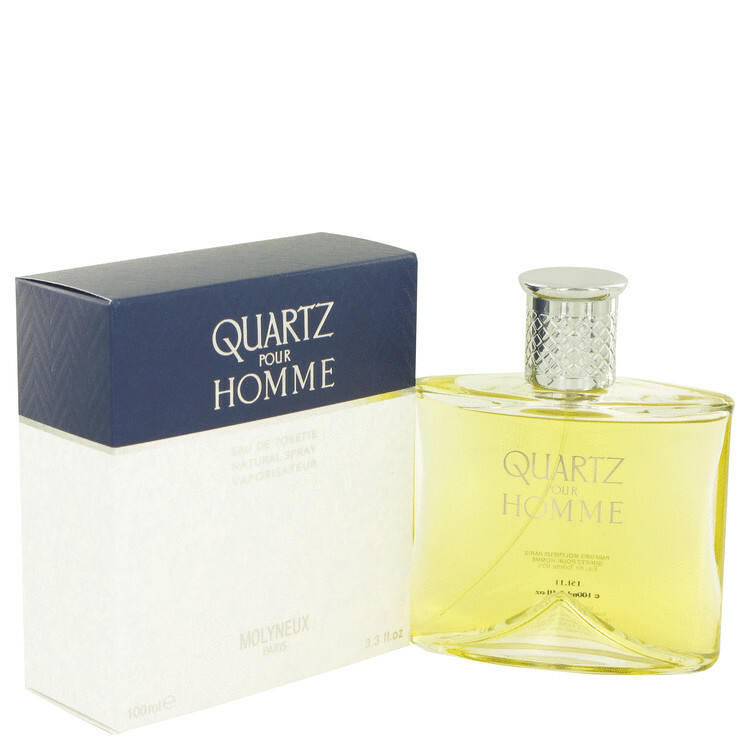 Quartz PH has some Cacharel Pour Homme vibe in it, that's why I love it so much, but Quartz is more citrusy than CPH. One of my favorites in the moment ! A very dry scent dominated in the top notes by bitter citrus rind. The heart note is a combination of sweet and piquant spice notes. Finally, the base consists of woods with touches of leather and musk. The dryness is quite pronounced for quite a long time, but eventually these harsher notes are relieved by the remains of the spice notes with woods, leather, and musk. The final stage is quite elegant and gentlemanly, and the best part of the ride, in my opinion. There are no member images of Quartz pour Homme yet. Why not be the first? Quartz pour Homme by Molyneux - how butch?